Logos are the single most recognized element of a brand or company. You don’t need a degree in advertising or marketing to identify companies by their logos i.e. a swoosh, a bitten apple, a jockey on a horse, etc. These three logos belong to well-established businesses known internationally solely by their trademark, a shared goal among many small business owners. In the process of becoming a household name, small companies should take some time to examine and analyze their brand; Is it appealing? Does it represent our company? What does it say about the business? Even though that distant relative may be a professional graphic designer, it’s not always the best idea to take logo shortcuts. In a rather large handful of cases, small businesses hand their logos over to a novice designer for a good price and guaranteed satisfaction. Although this practice can ensure success if the newly minted artist turns out to have a talented eye for creativity and polished technique, this risk may not always conclude with a happy ending. In some unfortunate situations, the amateur designer produces… an amateur design. As a designer, I have experienced cases where the client loves their logo and it’s nearly impossible for them to believe they have an unprofessional, unappealing logo. And trust me, this is not us designers being picky and arrogant. It’s absolutely necessary for a company to examine their trademark and ask themselves whether or not it’s a good representation of their company. This keeps their image fresh and captivating, and makes self-promoting a little easier. It’s not recommended to completely disregard connections and acquaintances; you may be missing out on world-renowned artwork. It is however, recommended to be considerate of your business; find a trustworthy marketing agency with a professional, versatile portfolio, who make your brand awareness their priority. 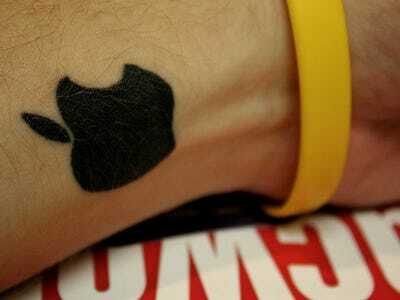 Would You Get A Tattoo Of Your Logo? And of course everyone will respond “no” to that question. But let’s put it this way… your logo is a symbol of your work. Your company will sport it where ever they go and people will begin to associate you and your business with that logo. If you’re proud of your logo, great! If you’re not, it may need a makeover. An appealing logo captures not only the company’s target market, but prospective clients outside of it as well. It draws people in and raises the question, “What company is that?”and “What do they do?” These types of questions encourage people to conduct research and if they’re attracted to the services and professionalism of the company, they may become consumers. You may or may not be a legitimate business– An unprofessional looking trademark may contribute to the thought that your company is still growing, and not well-established. Many startup companies have the potential to blossom into successful household names however, there are many bumps in the road that can crumble the business if they aren’t smoothed out correctly. Remember your friend’s, cousin’s, girlfriend’s, brother? If they aren’t the graphic guru the family labels them out to be, consider local marketing agencies who specialize in branding. These professionals are led by talented art directors and have a great deal of experience in personalizing a company’s image or brand. A logo is the first impression many will have when being introduced to your company therefore, a well-designed, tasteful logo is the ticket to spread brand awareness and interest. The company is or isn’t well-established and organized– Even if your company is still growing, that first impression your target market was introduced to allows them to consider, mentally analyze, and draw out the rest of your company. If you’re a company manufacturing clothes for men and your logo is very dainty and pink, a potential client will have a hard time understanding your image and purpose. They’ll question the company’s organization and assume you are still establishing your business, which isn’t horrible however, if the client is ready to purchase or become business partners, they maybe be turned away. There’s someone better out there– Ouch. The internet is a bittersweet tool everyone has easy access to. If someone is interested in your services but isn’t convinced about your professionalism, they will surely “Google” other possibilities. Logos can make or break the success of a company. If you haven’t been consumed by a tidal wave of customers, remember to analyze your image and consider rebranding if it’s not a perfect representation of your business.